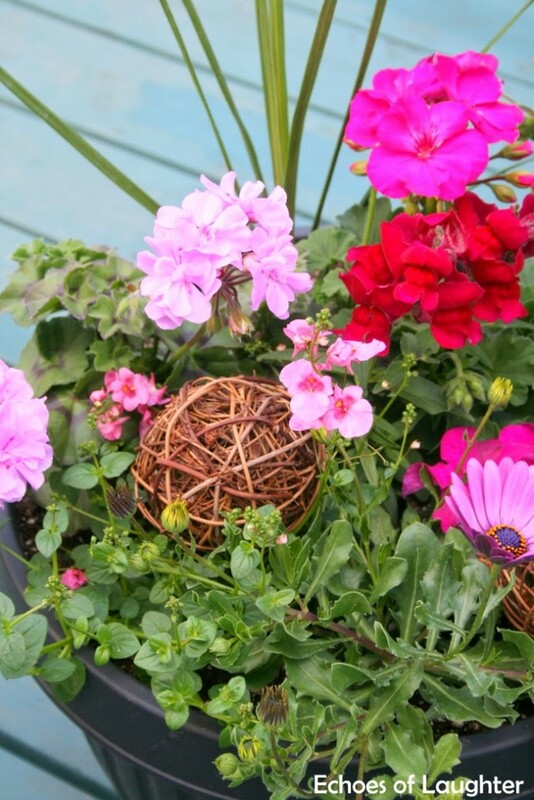 We just celebrated the Victoria Day weekend here in Canada, and that meant that many of us were busy planting and getting our outdoor spaces ready for summer weather. I love, love, love this time of year and I spent the weekend planting flower pots, washing outdoor furniture and creating a beautiful outdoor space for us to enjoy for the next few months. This space becomes our summer hangout for the summer where we like to enjoy a drink, share a meal or entertain, and I want it to feel and look fabulous. 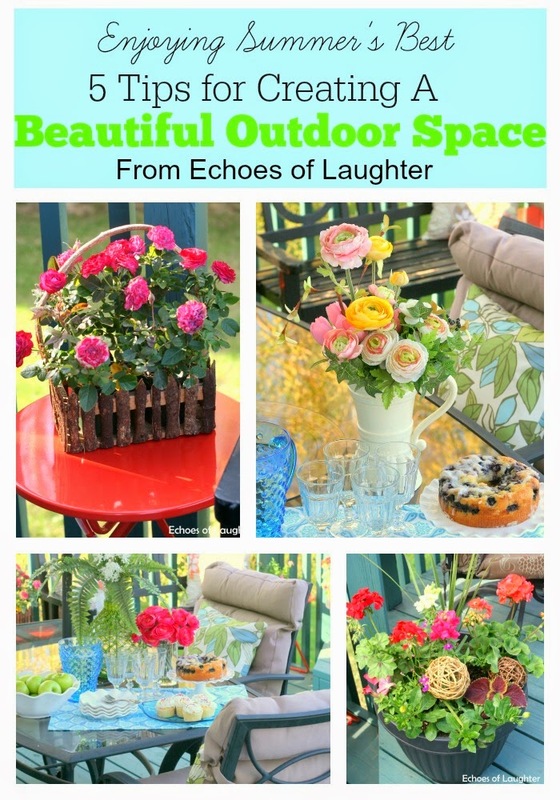 So, I thought I might share some tips with you for creating a beautiful outdoor space that doesn’t require spending a lot of money. 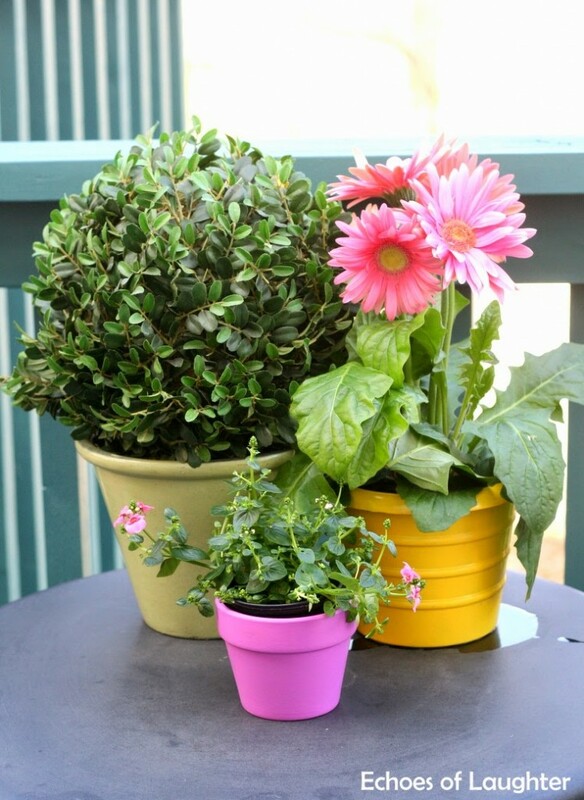 2~Arrange pots in groups of 3, and use different sizes and different types of flowers for an interesting look. You can also throw some fake plants in that you might already own. They still look wonderful! 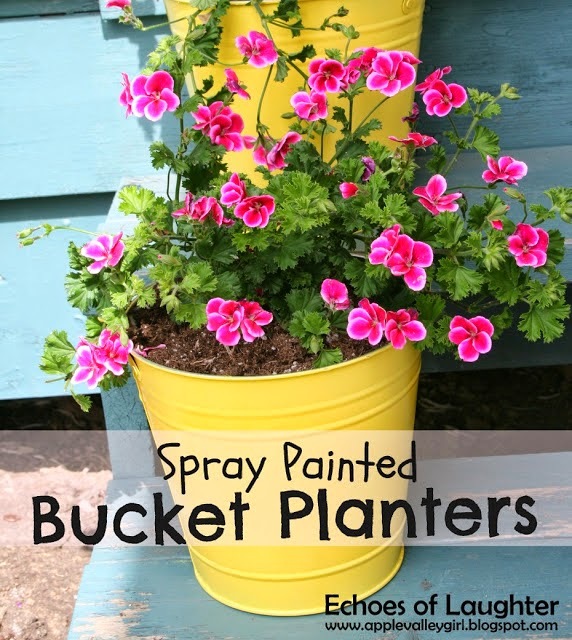 3~Use a few large flowers pots to define spaces. 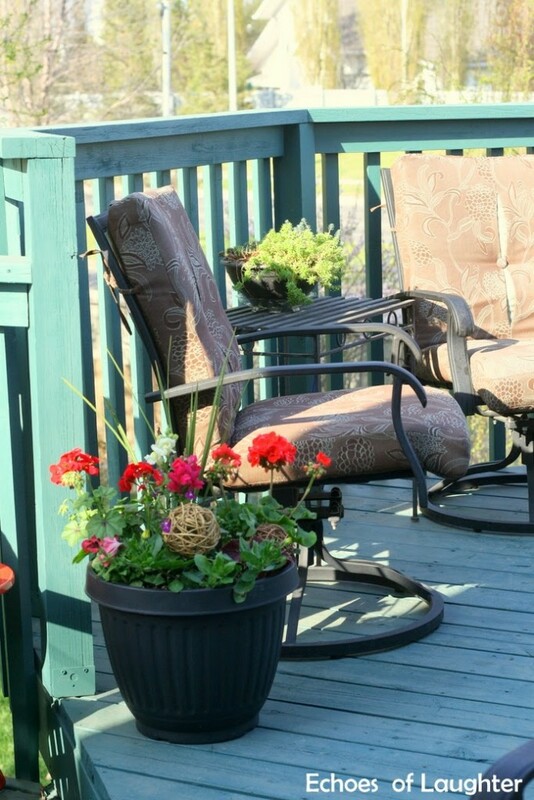 I can only budgeted for 2 of these large pots this year and I used them to define our upper deck from our lower deck. 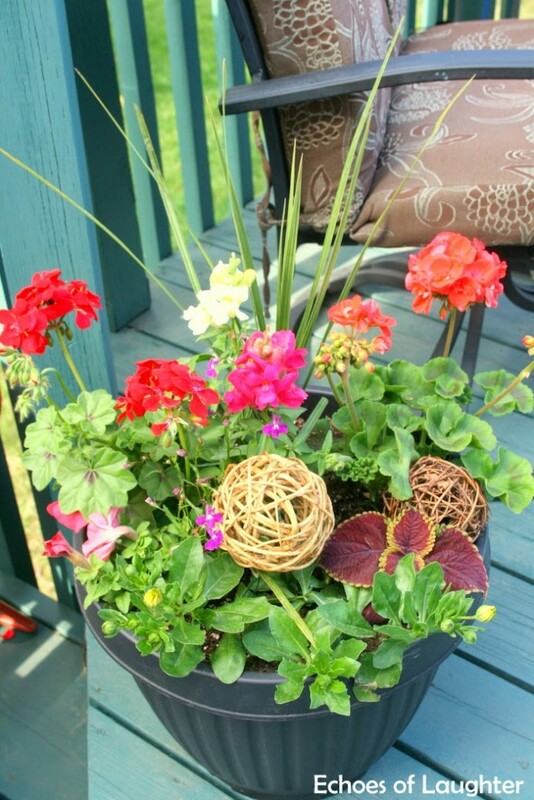 You can also add some interesting texture to pots by adding things like sticks, grapevine balls, glass ornaments, etc. Goodwill and Value Village are full of these things for a great price. 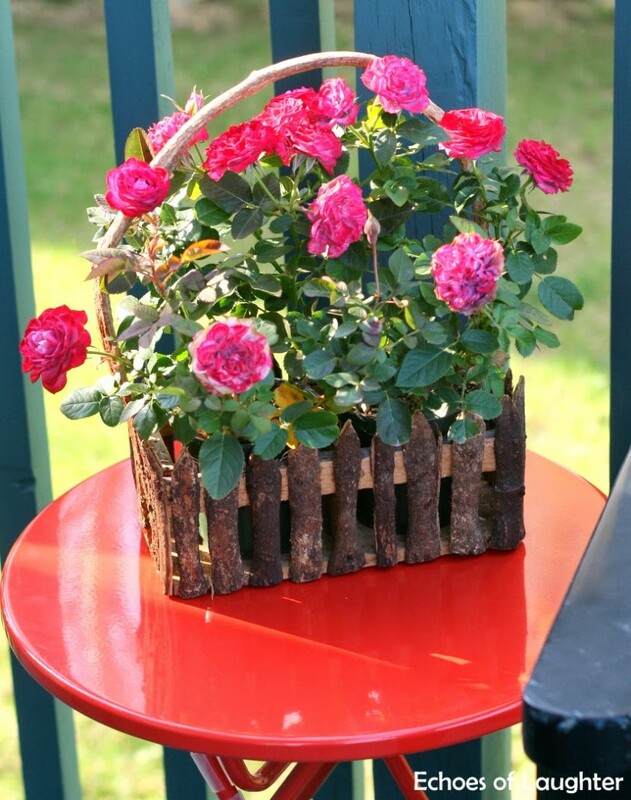 You can also add flowers to rustic baskets. 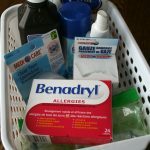 Grab some baskets you have indoors and bring them outdoors, or look around for cheap used baskets. They look so pretty! I picked up this rustic basket from Goodwill for a mere $3.00! 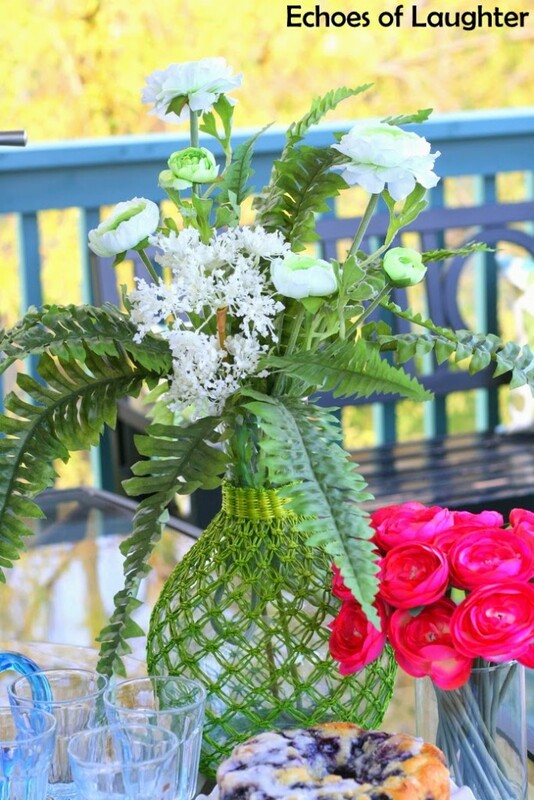 5~When entertaining, grab a vase, pot, demi-john, mason jar or any glass vessel and add flowers for the table. 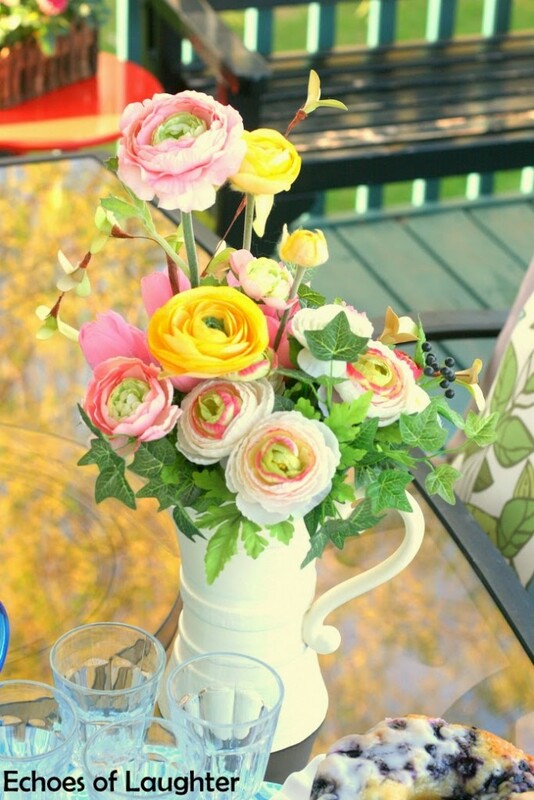 Flowers look amazing on tables…whether inside or outside. 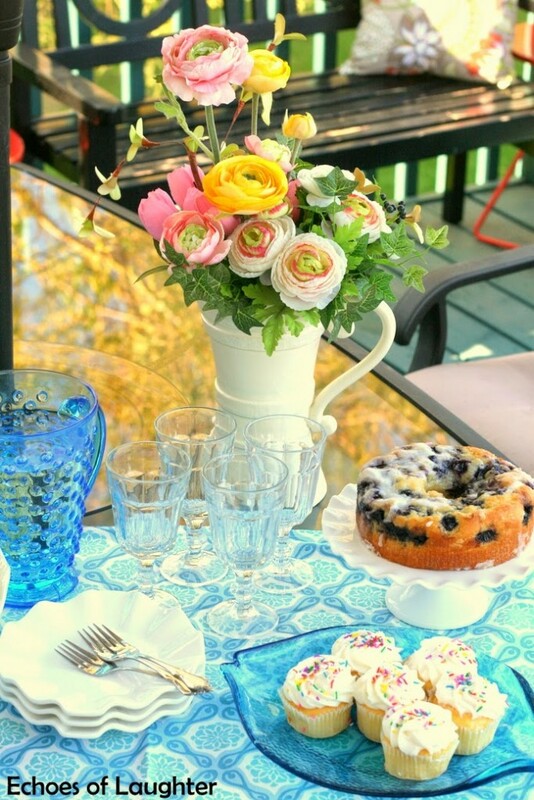 And where possible, use real glass dishes for entertaining. 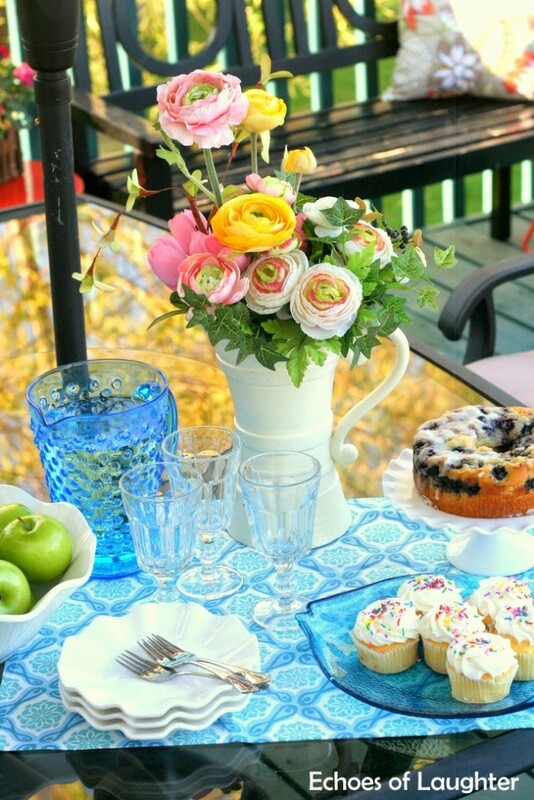 The sparkle of real glass dishes when used outside is so lovely. 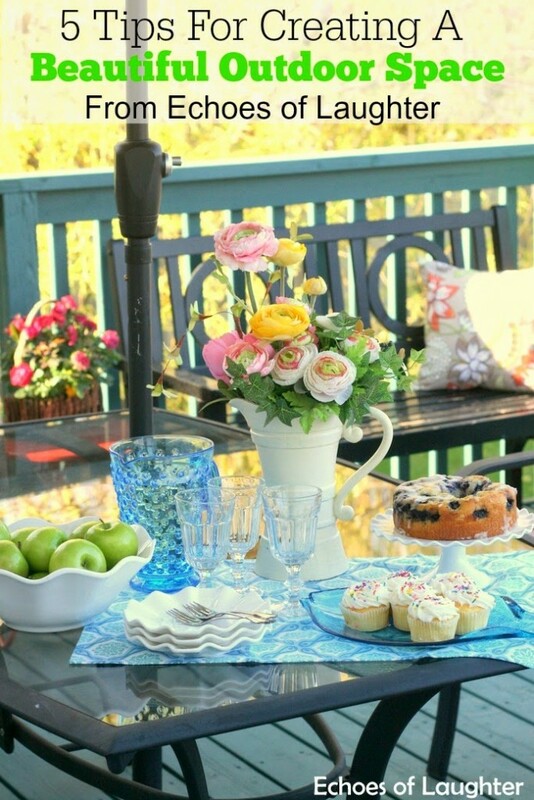 And when having guests over, serving a little dessert and fruit along with a large picture of a cool drink is something that is always warm and welcoming. 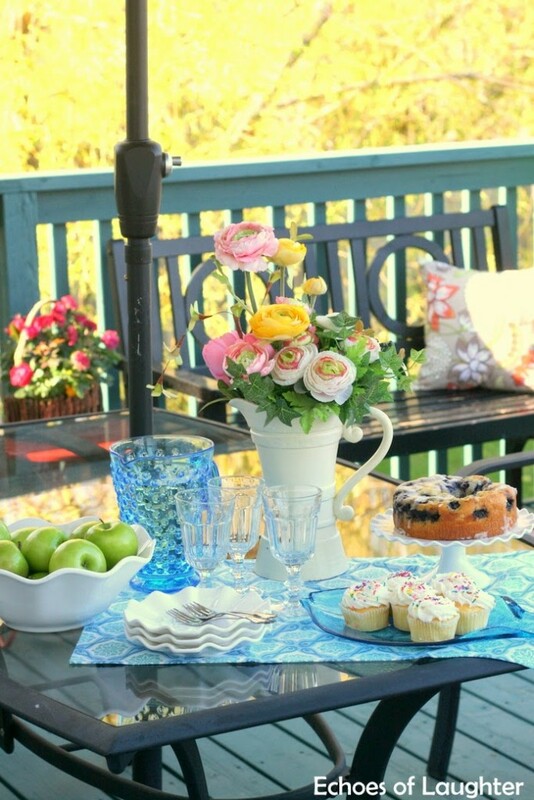 I love having a pretty outdoor space to welcome family & friends in summer. After a long winter, ther is no better feeling than getting outside in an outdoor living/dining area. It is my favourite place to work, read, visit and hang with my family. 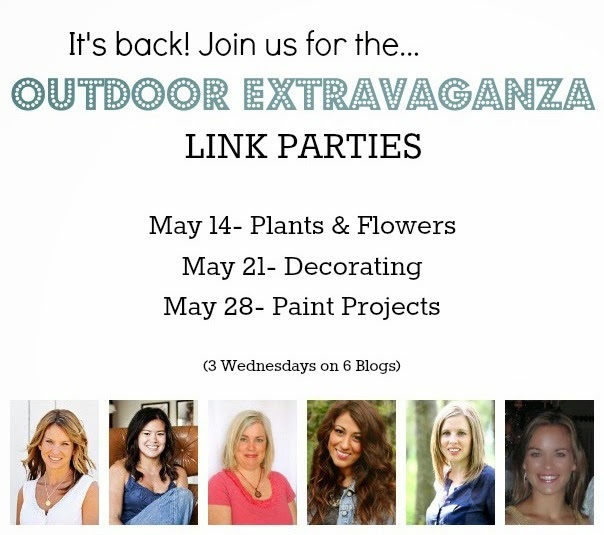 Don’t forget that tomorrow is the 2nd Linky Party for 2014 Outdoor Extravaganza Link Parties and the theme is decorating! 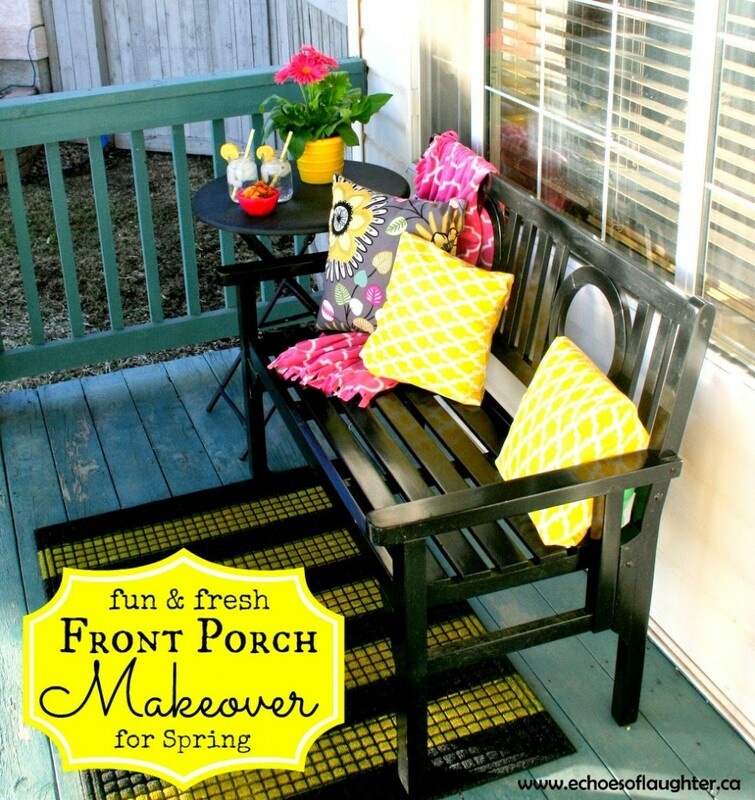 We invite you to share and link up your wonderful projects for Spring…be it specially deck decorating, flower bed design, or paint projects that give your home even MORE awesome curb appeal! We are looking for ALL of your creative projects so we can have the BEST Outdoor Extravaganza party ever! And the best part? Your projects will be seen across all 6 blogs! And ALL of us are sharing amazing projects today! Please visit each hostess to see their creation! 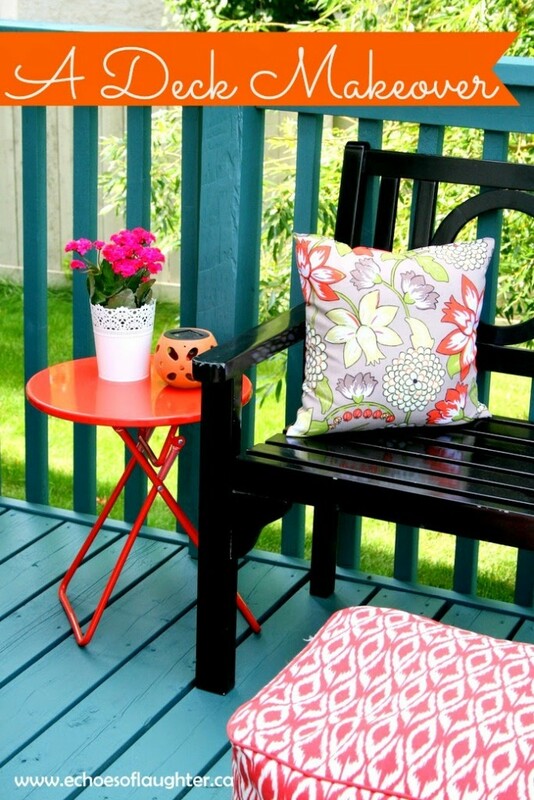 Your outdoor space looks gorgeous! Love the pops of color and how you styled everything. Great tips for pulling a space together, too. Now if we can just have the ideal weather to enjoy our outdoor spaces, right? 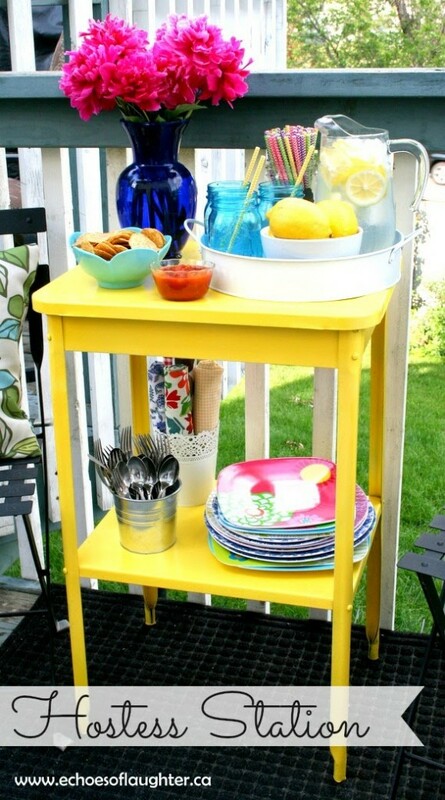 Such great tips, I'm loving all the pops of color!!! Why is it that I never think of putting a vase full of flowers outside?! I need to remember that!! Everything looks soooo pretty Angie!! I saw a table just like your Hostess Station at a lawn sale this weekend!!! 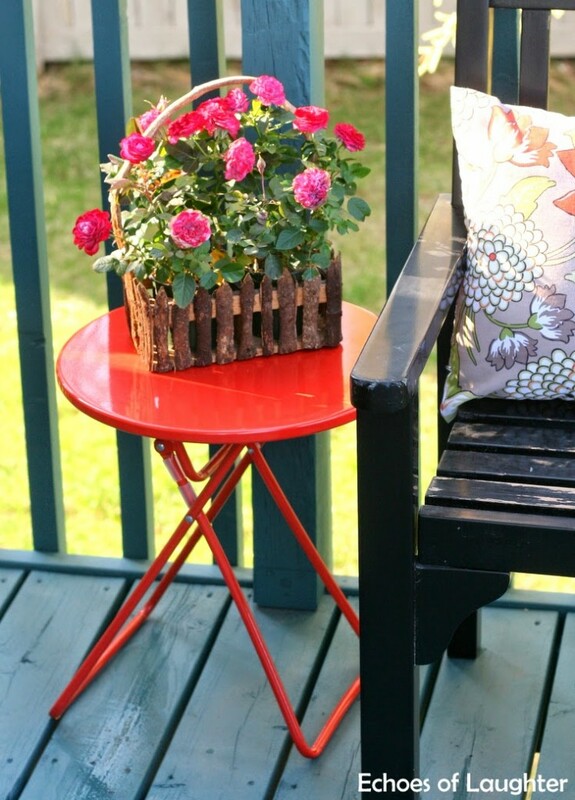 Love how your outdoor space is looking and the tips on recycling those forgotten items that can be brought back to life. Thought I would share this idea with you, from time to time our wine club sends us our order in wooden cases…. they made lovely planters on my deck this year for Liam's grad send off party! Great tips! Everything looks wonderful and summery! It certainly is nice to get back outside after the long winter! Great tips! I'm so excited to start getting our deck ready for summer! The photos in your post are so colorful and happy – love! I never thought about grouping pots in threes. I will now. Angie . . . I’ve been looking for a perfect aqua colored paint for my deck. The color you’ve used is exactly what I’m looking for! Could you tell me the brand of paint you used and the color/ formula? I’ve been through several sample pints looking for the right color and everything seems too bright and gaudy! Thanks so much!